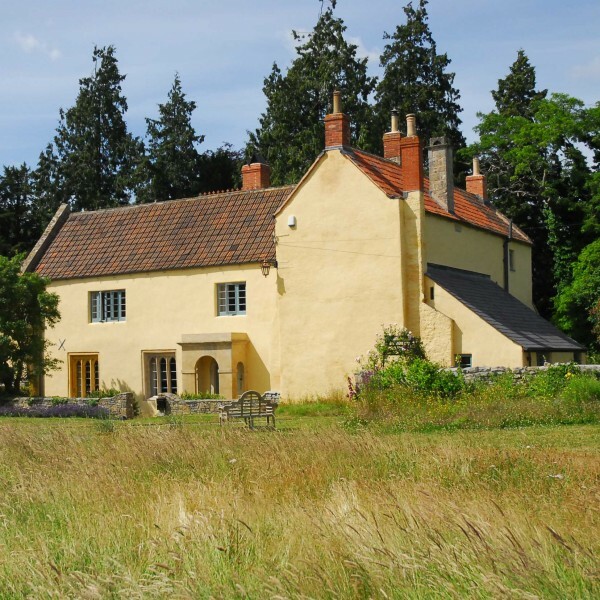 Court Farm is a former Episcopal manor house, now a farmhouse, dating from the 13th century. It stands in a rural setting on a large plot of land in the centre of Wookey village within a scheduled Ancient Monument described as ‘Bishop’s Palace’. The house is Listed Grade II*. 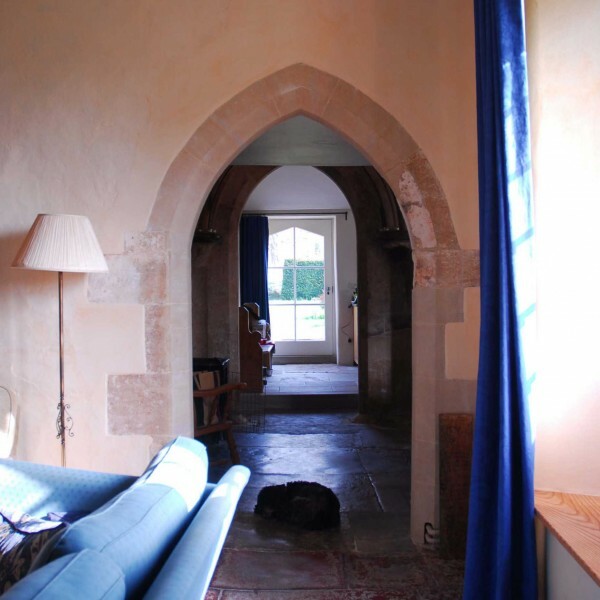 The house incorporates all that remains of the 13th Century moated Episcopal Manor House, including stone arch doorways c.1230, remnants of the great hall and the suggestion of a vaulted undercroft. 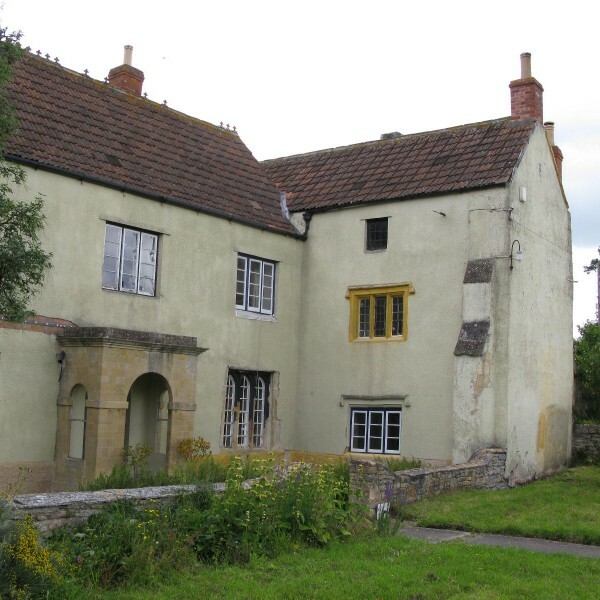 The central range consists mainly of Bishop Bekynton’s expansion of the episcopal house c.1460 and there have been numerous 17th, 18th and 19th century alterations and additions mostly carried out using material available on site. The house has been continuously occupied by a range of inhabitants from Bishops to tenant farmers who have all carried out piecemeal adaptations within their respective budgets. 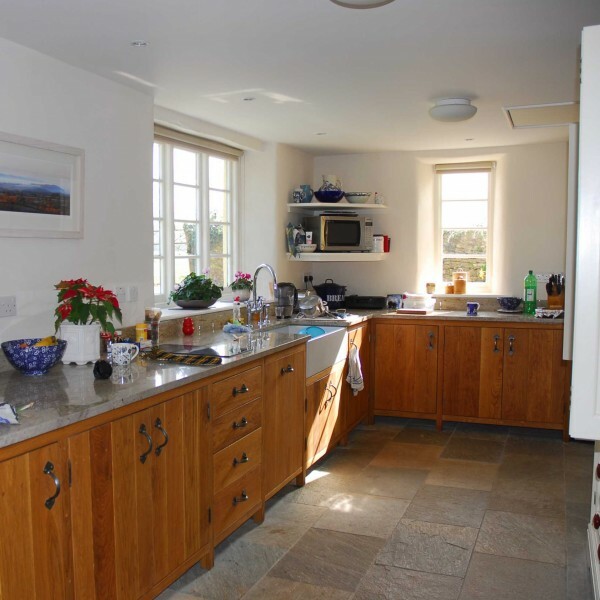 As a result the house has an eclectic series of spaces of a range of styles and dates that retain many original surfaces and interesting historical features but was ceasing to be desirable as a domestic dwelling due to the lack of adequate heating, bathroom and kitchen facilities. 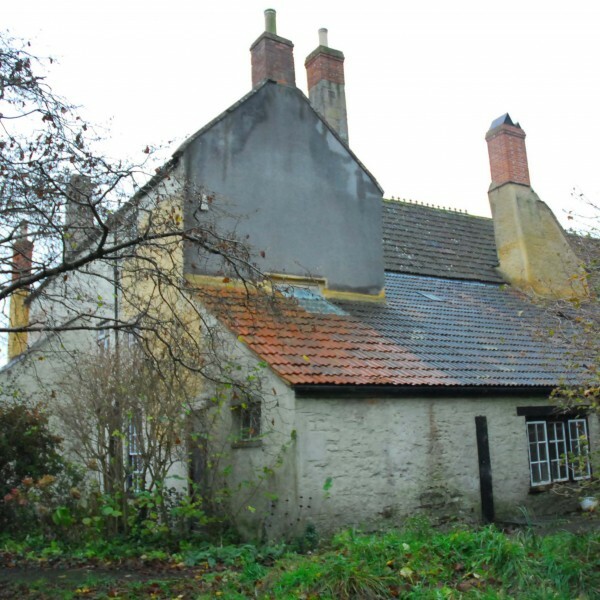 This project has provided an opportunity to view the building holistically and carry out works to adapt it to the requirements of a 21st century dwelling and thereby secure its future occupation and maintenance. The works have included rationalizing the circulation, installing bathrooms and utility facilities, extending the central heating to the whole of the house and removing unsuitable materials and additions which have been causing damage to the historic fabric. Works have been carried out using traditional materials and conservation skills and interventions have been carefully designed and planned to have minimal impact on the standing archaeology, character and aesthetics of the building. This has been particularly challenging due to the survival of many of friable original surfaces and the sensitivity of the site and its standing archaeology.